A feature is a small modification or extension of a system which can be seen as having a self-contained functional role, such as Call Forwarding, Automatic Call back and Voice Mail in telephone services, to which users can subscribe. Feature interaction happens when one feature modifies or subverts the operation of another, and this problem has received a great deal of attention from industry and academics, especially in the field of telecommunications, where new services are constantly being developed and deployed. 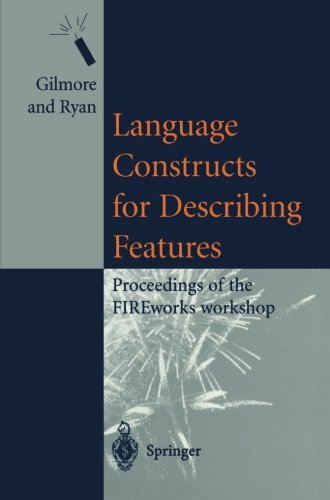 This volume contains refereed papers resulting from the ESPRIT FIREworks working group. The papers focus on the language constructs which have been developed describing features, and advocate a feature-oriented approach to software design including requirements specification languages and verifications logics. View More In Digital Audio, Video & Photography.